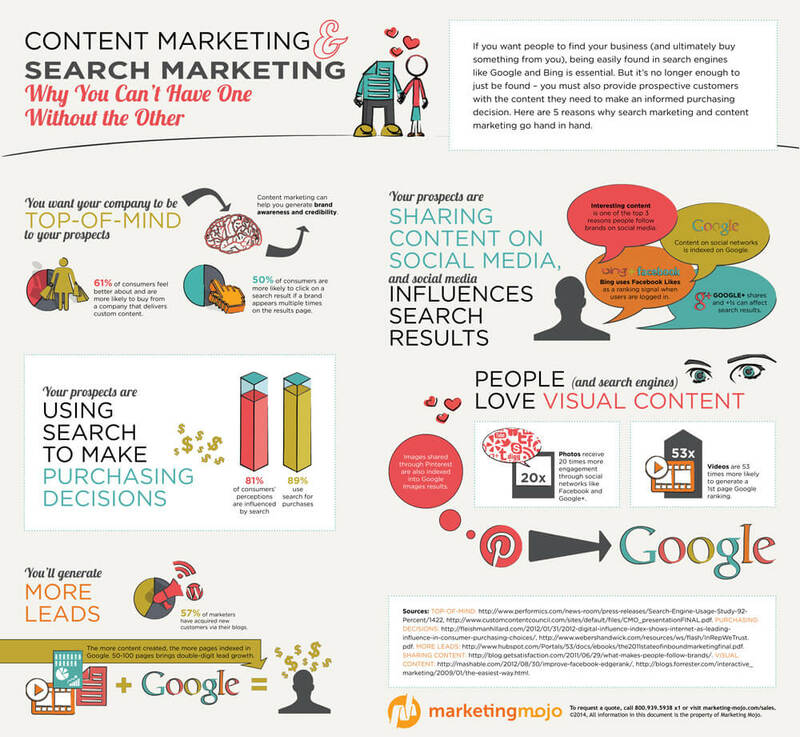 Search engine marketing and content marketing are inseparable – you can’t have one without the other. For your business to be found online, generate leads and drive sales, it’s essential to create quality content that is not only well-optimized for search engines, but also helps your prospective customers make informed buying decisions. Download this search engine marketing and content marketing infographic to learn 5 top reasons why search marketing and content marketing go hand in hand.